Symptoms of the flu can include fever, chills, cough, sore throat, runny or stuffy nose, muscle or body aches, headaches, and fatigue or tiredness. Some individuals will report vomiting and diarrhea but these symptoms are more common in children than for adults. Symptoms can last anywhere from a few days to about two weeks. Some individuals are at a higher-risk of developing flu complications like sinus and ear infections, pneumonia, and bronchitis. Pregnant women, young children, people living with chronic medical conditions, or people over the age of 65 are all at a higher-risk of developing flu-related complications. In some cases complications can become severe and result in hospitalizations and can be life-threatening. 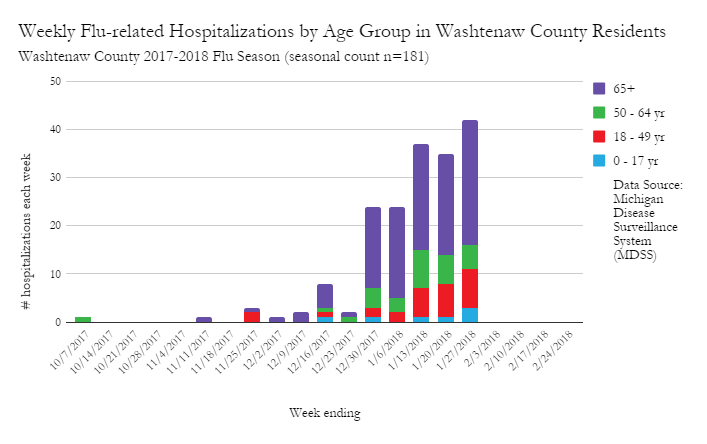 To date (1/27/2018), 181 people in our county have been hospitalized this season and 4 adults have died. I'm Healthy, Why Do I Need A Shot? The Center for Disease Control (CDC) recommends that everyone 6 months and older should receive a flu shot during the year’s flu season. It is important for you to get the flu shot because it keeps yourself and your family safer. If you do get flu, you may be less affected. You are also less likely to transmit the flu. Keep your loved ones healthy! Some strains of flu are stronger than others. In 1918, the flu killed tens of millions of people around the world. Read more about that in this Washington Post article. I Got a Shot Last Year…Why Do I Need Another This Year? The viruses that carry the flu are always changing. Flu vaccines are made specifically for each season. Even when they are not completely effective, they still provide some protection. The second reason we get flu shots every year is that the antibodies from previous vaccine viruses will decline over time and no longer protect you from flu viruses. It's Free, Thanks To The Affordable Care Act! Don't Delay! 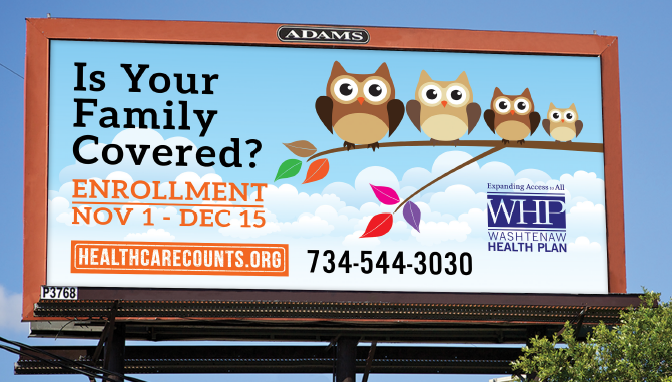 Under the Affordable Care Act vaccinations are FREE for those with insurance--and that includes Medicaid and Marketplace coverage, as well as Medicare and employer coverage. 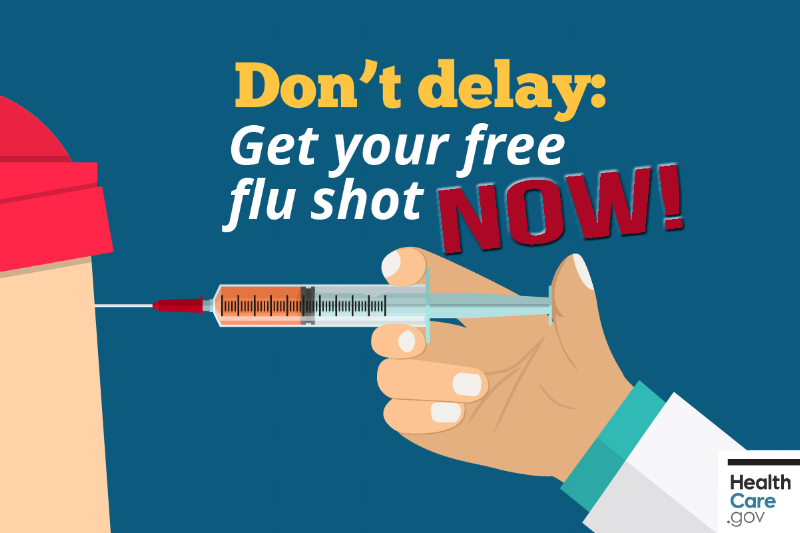 Flu shots are given out at pharmacies, doctors, and even your local health department!